A group of French hip-hop dancers gathers in a remote, empty school building to rehearse on a wintry night. After accidentally ingesting sangria laced with LSD, their night turns into a terrifying trip. “Climax” is shocking, unsettling, visually brilliant, and more of an experience than an actual film. Winner of the Art Cinema Award at the 2018 Cannes Film Festival, Gaspar Noé’s latest work is not even close to a typical horror film, but it is more frightening that many horrors dream to be. Somewhere between a horror and a sci-fi thriller, this film about a family trying to survive an invasion of aliens with ultra-sensitive hearing became one of 2018’s most popular films and, despite being a little overrated by the critics at the time of its release, it still remains one of this year’s better movies and it really deserves a place on this list. Before directing this film, John Krasinski was mostly associated with comedies including the American version of the famous sitcom “The Office.” However, after last year’s “Get Out,” when comedian Jordan Peele proved to be masterful at directing horror, it wasn’t that much of a surprise to see another comedian doing great in the horror genre. 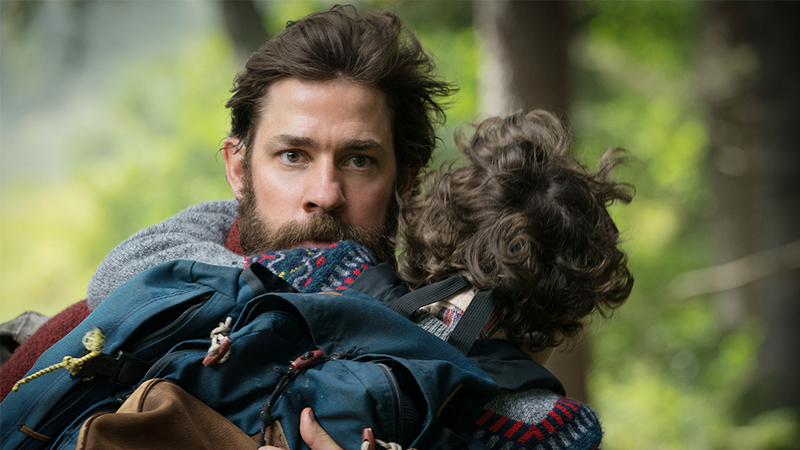 “A Quiet Place” had a lot to offer, from the impressive cinematography and CGI, to its original plot and great character development that benefited from the exceptional performances by on-screen and real-life couple Krasinski and Emily Blunt, and last but not least, Millicent Simmonds, a 15-year-old deaf actress who played their hearing-impaired daughter. “Ghost Stories” was initially screened at the London Film Festival back in October 2017, so technically it is a 2017 film. However, its theatrical release in the United Kingdom took place this year, so we will consider it a 2018 film. “Ghost Stories” is the kind of horror film that we don’t really get to see too much of nowadays. The film took inspiration from classic British horror anthology films such as “Tales from the Crypt” (1972) or “Vault of Horror”(1973) and is quite a ride. Andy Nyman, who is also the co-director of “Ghost Stories,” stars as professor Phillip Goodman, a television presenter who specializes in debunking supernatural stories. One day, after an unexpected meeting with his childhood idol, the presumed-to-be-dead paranormal investigator Charles Cameron, Goodman is given the task to investigate three mysterious cases; Cameron tells him that these cases will prove him the existence of the supernatural. The three cases unfold as separate stories, in the same vein as the previously mentioned anthology films, only to clash together in the final act, which is one of the most unexpected endings to a horror film we’ve seen lately. The follow-up to his widely appreciated sci-fi film “Ex-Machina,” Alex Garland’s “Annihilation” stars Natalie Portman as a biologist who takes part in an expedition in the “Shimmer,” a mysterious zone of unknown origin where nature seems to have taken a different form. 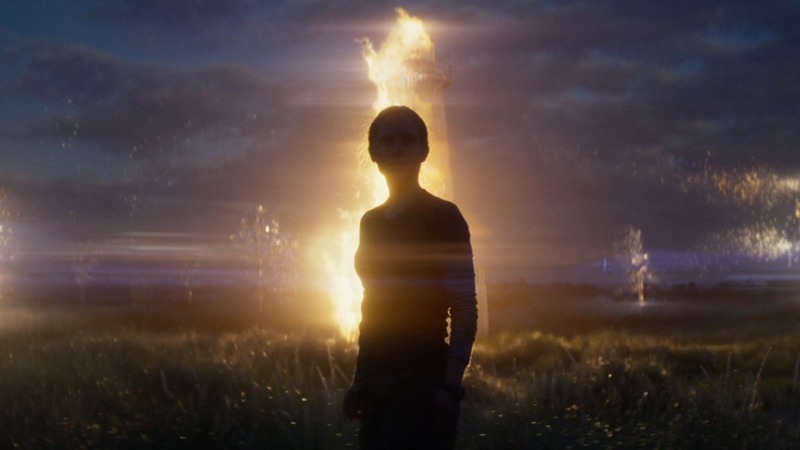 After its international release on Netflix, “Annihilation” was met with positive reactions and critics and fans praised it for its original and suspenseful story, the impressive visuals, and the great performances from Portman and her fellow colleagues. “Hereditary” was by far the best horror film – and one of the best films in general – that 2018 has to offer yet. It feels a little redundant to talk about “Hereditary” considering the number of articles that have been written about it since its release. “Hereditary” is not just a great horror, but also one of the most emotionally-charged movies you will get to see this year. The film is dramatic to the point where it might make you cry; it features some of the greatest performances of this year – especially from Toni Collette, who is just spectacular and is so disturbing here that you will have a hard time thinking about something else for a long time after watching it. “Hereditary” is the only film of this year that really feels like it will have an impact on the future of horror movies. Lately, many films abuse jumpscares to get their audiences scared. “Hereditary” changed the game and settles for less ostentatious, but much more effective scares that have to do with the overly-traumatic experiences that we see its characters going through. For those who haven’t seen “Hereditary” yet, we will leave you the film’s official synopsis and ask you what are you waiting for? !